Circadian rhythms are regular, daily variations in some of our biological functions and behaviors that are key to health and mental wellbeing. A research team at the University of Glasgow has now identified a potential genetic link between disrupted circadian rhythms and mood disorders, including major depressive disorder (MDD) and neuroticism. The genome-wide association study (GWAS), involving data on more than 70,000 individuals in the U.K. Biobank, identified two gene regions that appear to be linked with disruption to rest-activity cycles. One of these contains a gene that interacts with a protein implicated in bipolar disorder (BD). Circadian rhythms are variations in certain aspects of physiology and behavior – including body temperature, hormone release, concentration, mood, eating, and sleeping – which recur every 24 hours. Disruption in this rhythmicity has been linked with health problems ranging from cardiovascular disease, obesity, diabetes, and cancers, to major depressive disorder and BD, the authors write. A number of GWAS have identified genetic loci that appear to be linked with regulating circadian function, but prior studies have largely been based on self-reported subjective measures, such as chronotype – whether someone is more active and awake during the morning, or during the evening. “… as a subjective measure, chronotype can be vulnerable to response bias,” the Glasgow-based team notes. In contrast, their own previous study, involving data from over 91,000 U.K. Biobank participants, focused on relative amplitude (RA), an objective measure of rest-activity rhythms, which is based on measurements recorded by an accelerometer worn on the wrist. The results of this study found an association between low RA with several mood disorders. For their latest research, which the authors suggest is the first large-scale GWAS study of RA, they analyzed data from 71,500 U.K. Biobank participants to investigate the link between disrupted rest-activity cycles and a range of psychiatric and mood disorders. They then generated a polygenic risk score (PRS) for low RA, which they tested against data from a separate set of up to 141,000 individuals in the U.K. Biobank. The GWAS data highlighted an association between low RA and two different genomic loci that harbored single nucleotide polymorphisms (SNPs) at two candidate genes, neurofascin (NFASC) on chromosome 1, and solute carrier family 25 member 17 (SLC25A17) on chromosome 22. Interestingly, the neurofascin protein encoded by NFASC interacts with another protein, ankyrin G, which is itself implicated in BD. “The direct binding of neurofascin to ankyrin G at the AIS [axon initial segments] therefore represents a potentially important biological link between circadian rhythmicity and BD,” the authors write. Also of note, the authors point out, is that previous studies have linked variants of the other highlighted gene, SLC25A17, with autism spectrum disorder and schizophrenia, and an inherited condition known as adrenomyeloneuropathy that disrupts brain functioning. The study was designed to evaluate any association between disrupted RA cycles and a range of psychiatric conditions, including attention deficit hyperactivity disorder (ADHD), BD, MDD, mood instability, post-traumatic stress disorder (PTSD), schizophrenia, anxiety, and insomnia. However, the team says it found “little evidence of genetic correlation between low RA and psychiatric phenotypes … This is perhaps surprising given the literature on circadian rhythmicity and mood disorders,” the authors point out. Instead, the results provided evidence for an association between a larger polygenic risk for low RA, and mood disorders, including mood instability, MDD, and neuroticism. 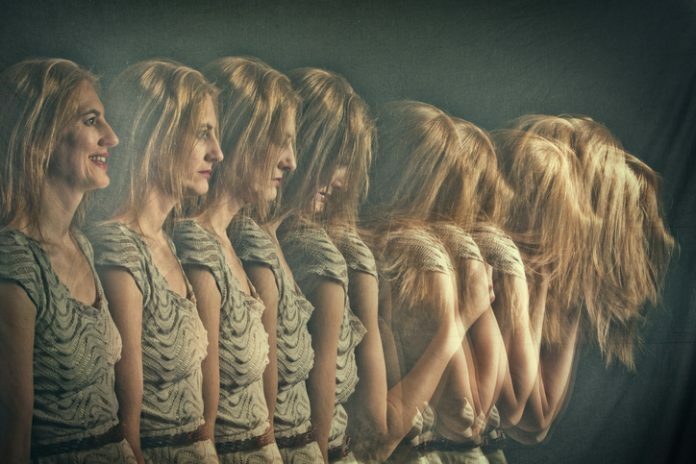 “Mood instability is a common symptom that cuts across several psychiatric disorders and, as such, may be a more useful phenotype than categorical diagnoses for understanding underlying biology,” they point out.